In last month’s newsletter we announced the reduction of the standard borrower rates on all residential loans. 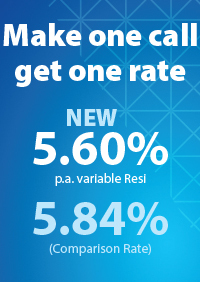 Under our simple rate policy, our single borrower Prime and Lite DocTM rate has reduced from 6.99%p.a. to 6.50%p.a. This applies to 90% of our loans. What’s more we’ve moved our Full Doc Clear loan to a standing special at 5.60%p.a., down from 6.99%. As a result, borrowers will almost always receive a rate of 6.50%p.a. for a loan application and if not that, then its likely to be 5.60%! Now that’s lending made easy. In this week’s newsletter we take the opportunity to provide a handful of Deal Examples settled in recent weeks and currently available, together with a Residential product range overview, including our simple residential rate profile. 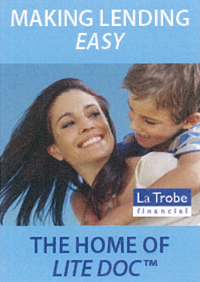 Keep this ready as your reference guide for your next La Trobe Financial residential deals. PAYG applicants were looking to refinance their existing mortgage of $380,000, secured against their owner-occupied property valued at $500,000 and to access additional equity to take an overseas holiday costing $20,000. Both applicants had an unpaid default on their credit file relating to an unpaid telephone and utility account. 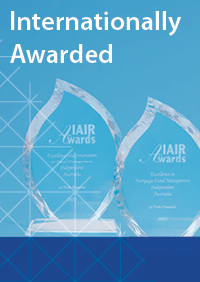 La Trobe Financial approved this straightforward loan at 80% under our CLEAR risk grade at 5.60%p.a. 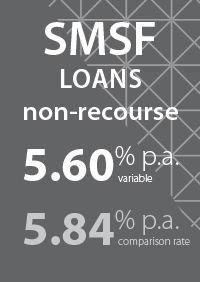 Outcome – Loan approved at 80% LVR at 5.60% p.a. Newly established SMSF structure. Borrowing entity seeking funds to purchase an existing investment property, balance of investment funds provided by SMSF. Property valued at $625,000 with a loan sought for $500,000. Rental income per the valuation was below the applicant’s expectation. Together with the sponsors’ compulsory employer contributions, these did not meet the servicing requirements of the loan. However the fund members had the capacity to make further personal contributions. Also, following purchase the SMSF would also have further assets of $120,000. Taking into account an investment return of 3.9% on this amount and further contributions available, the loan serviced. 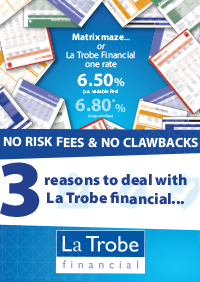 La Trobe Financial proceeded with the loan approval at 80% LVR under our CLEAR risk grade at 5.60% p.a. 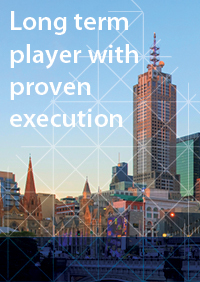 La Trobe Financial’s independent panel solicitors provided a complimentary Bare Trust deed. 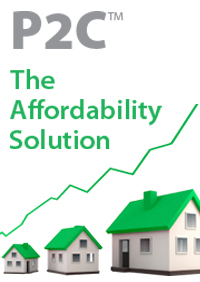 The property purchased and has subsequently been rented at levels well above valuation estimate. PAYG applicants were looking to refinance their existing residential mortgage of $420,000 and to consolidate $70,000 personal debts and $30,000 credit cards which had reached their maximum limit or were in arrears. Five months earlier the applicant’s mortgage had fallen 2 months in arrears (and remained in arrears) following one of the applicants being retrenched from their longstanding employment position; they have since been able to find another job with a new employer in the same field. La Trobe Financial treated the borrower’s financial situation as one life event, and taking into account their satisfactory history prior to this, La Trobe Financial approved the loan for $520,000 at an LVR of 80% at 6.50% p.a. Outcome – Loan approved at 80% LVR at 6.50% p.a. The applicants had been operating their own business for 3 years and were looking to expand by modifying the business premises and purchasing new stock. The applicants’ owner-occupied home was valued at $600,000 and they had a mortgage outstanding for $220,000. They were seeking $100,000 to modify the premises and $150,000 for new stock. One of the applicants had 3 unpaid defaults totalling $10,000 on their credit report relating to debts accrued following time off work due to treatment of a serious illness 2 years prior. 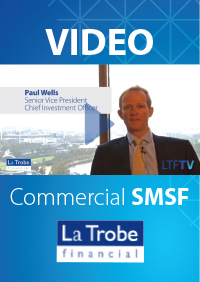 La Trobe Financial refinanced the existing mortgage of $220,000, cleared the $10,000 defaults and advanced $250,000 to the borrowers at settlement so they could have these funds readily available for their business. Serviceability was met with an Accountant’s Letter and Self Declaration. Self employed borrower required $420,000 to construct on land worth $350,000 in a town one hour from an Australian capital. A fixed price builder’s contract of $210,000 was in place. The borrower’s accountant had been unable to complete tax returns and the borrower also had a $2,300 default from a trade dispute in recent months which remained unpaid. La Trobe Financial approved a Lite DocTM construction loan for $420,000 at 75% LVR, with principal and interest repayments over 30 years. Serviceability was met with an Accountant’s Letter and Self Declaration. We did not require the trade dispute default to be repaid, following confirmation that the dispute was being contested. The borrower rate during construction was 7.59%p.a. dropping to 6.50%p.a. upon completion. 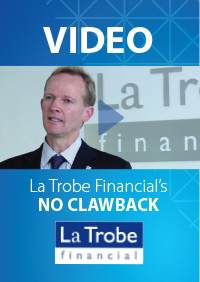 There is no commission clawback on this or any La Trobe Financial loan. Outcome – Loan approved at 75% LVR at 7.59%p.a. reducing to 6.50% p.a. or BAS Refer to Full Doc or LiteTM Doc 100% Rental Income. SMSF Contribution Statement.